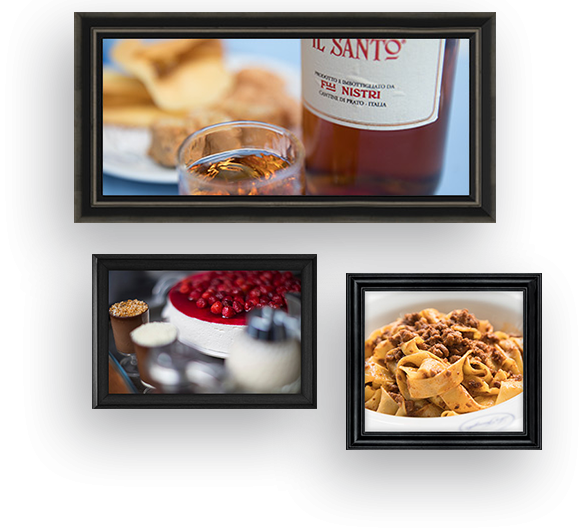 Family is the concept which binds this restaurant together. From the chef, to Alvaro’s own daughter, Marietta, everyone helps to ensure the restaurant is up to her papa's impossible high standards. 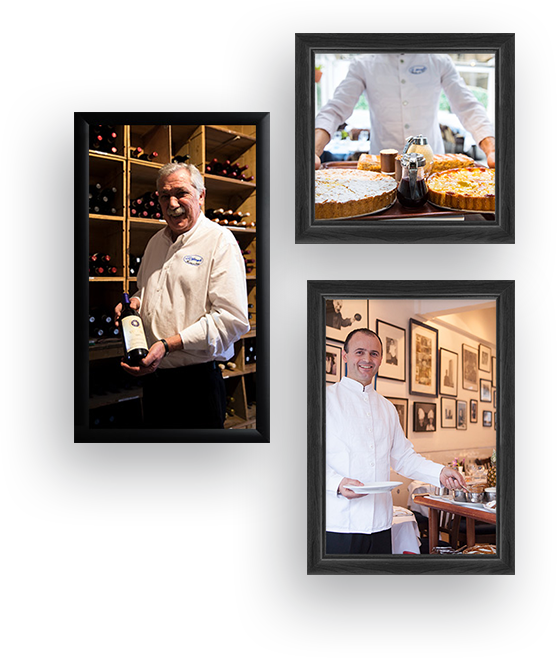 Photos of Alvaro’s daughter, sons and grandchildren adorn the whitewashed walls and families past and present come to enjoy the tastiest Tuscan cuisine in London. The ‘olio extra vergine di olivia’ is perfected from the Maccioni’s own olive groves in Italy. Carciofini fritti (deep fried baby artichokes); Capelli d’angelo all’olio tartufato (angel hair egg pasta with truffle oil and parmesan); Vitello tonnato (thinly sliced veal with tuna mayonnaise) and Arista al cinghiale (roast wild boar with rosemary, garlic and olive oil) are just some of La Famiglia’s classic dishes. The menu is roughly what is has always been. Lunch with starter and main course including wine for two is about £80.00. 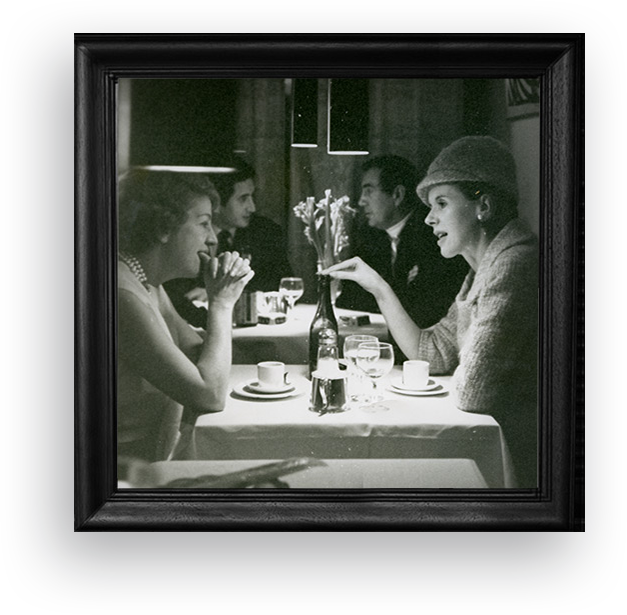 La Famiglia was the first restaurant to bring this authentic cuisine to London. The food and the understated Italian charm of the place have attracted the likes of Bridget Bardot, Michael Caine, Peter Sellars and Princess Margaret, to name but a few of the VIPs who walked through the doors. Like a vintage wine, La Famiglia simply improves with age. 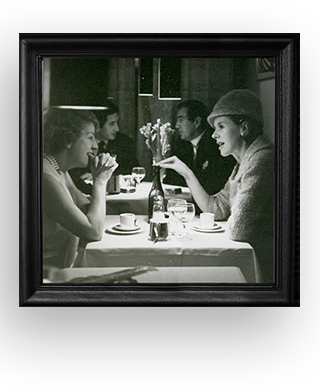 Its still the preferred Italian dining experience for aristocracy, royalty, footballers and film stars alike. 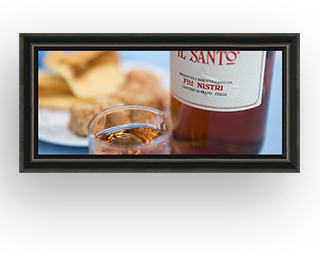 Alvaro has created a unique dining experience which remains untouched by time. The Tuscan food is impeccably tasty. The restaurant is undeniably authentic with its distinctive blue and white tiles. The service is impressive. Sitting outdoors in the secluded heated terrace area you could almost imagine you were actually eating in Tuscany. Every customer old and new, famous or not, are all treated like they are family. Alvaro only originally aspired ‘to open a small place here that would tick over,’and La Famiglia still remains the ultimate Italian dining experience for those in the know. 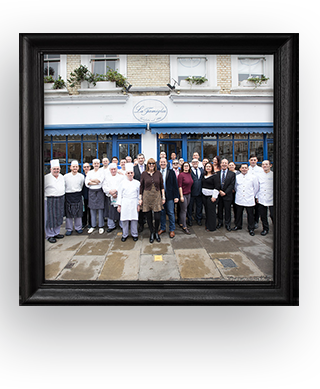 If you’d like to experience La Famiglia for yourself please visit our Book-A-Table page where you can make a reservation enquiry, or call us on 020 7351 0761. La Famiglia and the Maccioni family.